You love making stuff, and you love drinking beer. So why not try making the stuff you love? While homebrewing might strike you as a trend of the last decade, it has existed for a ridiculously long time. 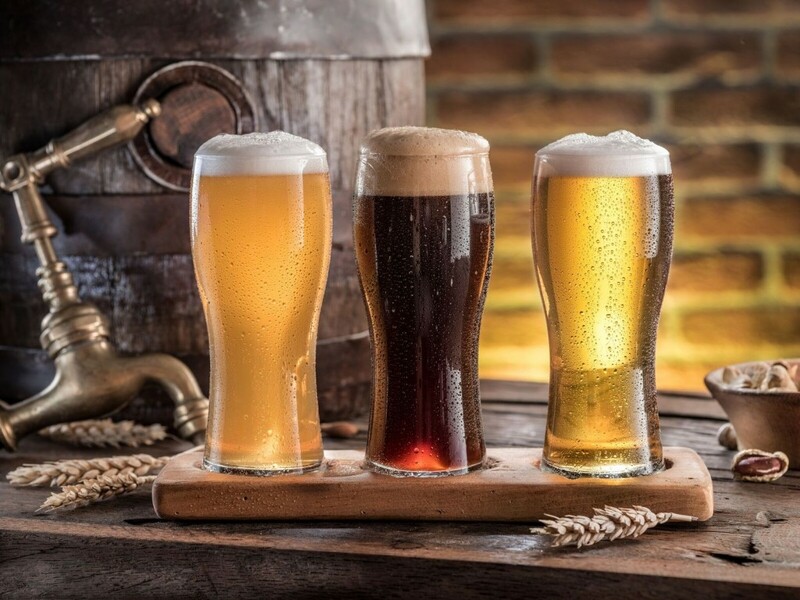 In fact, some sources claim the first documented recipe for how to make beer comes in the form of a 3,900-year-old poem, dedicated to the patron goddess of brewing. While modern homebrewing lacks the divine connections that first recipe held, it’s still a wildly enjoyable hobby to get involved in. But, before you dive into homebrewing, there are a few things you should know. First off, you need to consider the available space wherever you’re brewing. Necessary supplies include a 30-litre pot for boiling water, a primary fermenter pail and secondary carboy, as well as the bottles you’ll be filling with delicious, sudsy goodness. Most recipes are for 23 litres of beer, so you’ll need at least that many one-litre bottles. It’s not an overwhelming amount of supplies, but apartments in the Lower Mainland can be squishy enough as is, so make sure you clear some shelf space ahead of time. You’ll also need a dry, dark space to leave the beer while it’s fermenting, such as a closet or crawlspace. Once you’re fully equipped to start homebrewing, it’s a ridiculously cheap alternative to buying beer—we’re talking $2-3 a litre of good beer! …You do have to stomach the initial buy-in, though. Dan’s Homebrewing in Vancouver has a $75 starter set, with all the basic supplies sans the boiling pot. However, there are a few other items you should grab to make your life easier, which include a thermometer, for when you’re cooling the beer down before the fermentation process; a hydrometer, to measure the alcohol content of your batch; and a spray bottle, because every stage of homebrewing involves an absurd amount of sanitizing. In total, you’re looking at about a $110 initial investment, but it’s all equipment that you can use forever. After a handful of batches, you’ll be saving money from how little the ingredients cost. The moment you decide to start homebrewing, immediately start hoarding your empty swing-top bottles. Most homebrewing stores sell bottles and caps but having your own stock can save you money. Plus, if you invest in swing-top bottles, you don’t have to keep restocking on bottle caps. Howe Sound Brewing have perfectly-sized one-litre bottles, and their beer is delicious anyways. Grolsch bottles are another option, but they’re half the size of Howe Sound, so you’ll have to collect twice as many. On the subject of bottles, you may be tempted to bottle using some of your leftover growlers with screw-top lids. The problem with using these is that, during fermentation and carbonation, there’s a build-up of gases inside the bottle. Swing-top lids give a bit of leeway here, while screw-tops don’t. There are some anecdotes online about screw-top bottles exploding during the process, while some people claim they’ve never had an issue. My advice—let your friends know you’re looking for swing-tops and stick to buying Howe Sound for a month so you can stock up on swing-top bottles and never have to worry about your beer blowing up if it gets too carbonated. The last piece of advice I have for you on homebrewing: recruit a co-pilot! Aside from sharing the initial cost of equipment, having a brew partner makes those multi-hour brewing and bottling sessions into just another hang-out. You’ll also have someone to bounce ideas off of for future sudsy creations, and you get to celebrate as a duo whenever you’ve completed a successful batch. From the outside, homebrewing can look like a pretentious arena, full of neckbeards and down-talking. But it can also be a great, low-commitment hobby. Plus, the payoff of having delicious beer at the end is unparalleled by any other hobby.